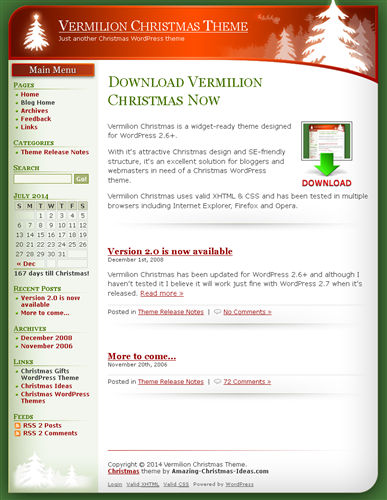 Vermilion Christmas is a widget-ready theme designed for WordPress 2.0. 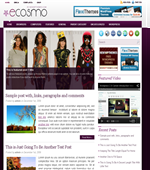 With it's attractive Christmas design and SE-friendly structure, it's an excellent solution for bloggers and webmasters in need of a Christmas WordPress theme. 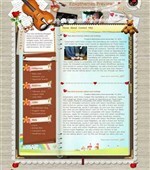 Vermilion Christmas uses valid XHTML & CSS and has been tested in multiple browsers including Internet Explorer, Firefox and Opera.